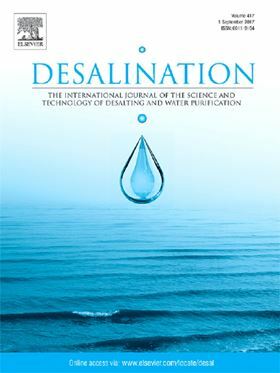 The research article 'Energy considerations associated with increased adoption of seawater desalination in the United States' has been published in Elsevier journal Desalination (Volume 445, 1 November 2018, Pages 213-224). Due in part to increased water demand and uncertainty around the availability of existing freshwater resources, there is interest in expanding the use of seawater desalination in the U.S. In order for greater adoption to occur, existing barriers need to be mitigated. One of these barriers is the energy consumption of seawater desalination. This paper reviews the existing energy requirements for membrane and thermal-based seawater desalination systems to produce potable water. Through literature review, it identifies the commercially-available option with the lowest energy intensity and the thermodynamic minimum energy requirement for each unit operation of the system. The paper then estimates the energy requirements to expand seawater desalination capacity to meet the potable water needs of water-stressed regions in the U.S. The results show that supplying 10% of the potable water demand for these regions located within 250 miles of a coastline using the lowest energy-intensity seawater desalination system commercially available would require <0.1% of 2018 U.S. electricity consumption. This increases to approximately 0.5% if all public water for these same regions is supplied via desalinated seawater. These estimates of the energy implications of broader adoption provide an initial comparison to current U.S. electricity consumption.